1. How are things going with the Revive Project? 2. When are you coming out with your next album? In all of our travels over the last year we’ve run into these 2 questions the most and I deduce that the answer people are really after is simply this: What’s next? Let me answer each of these questions as concisely as possible and in the process, hopefully unpack the bigger question. 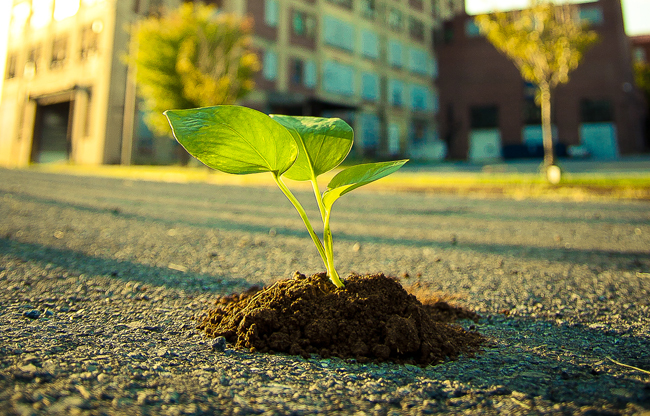 In short, what we set out to accomplish with The Revive Project was three-fold – 1.) Give God the glory with our music and our talents, 2.) Use the opportunities we were given to lead worship for communities around our region to share about The Revive Project and to shed light on Reading’s many issues, 3.) 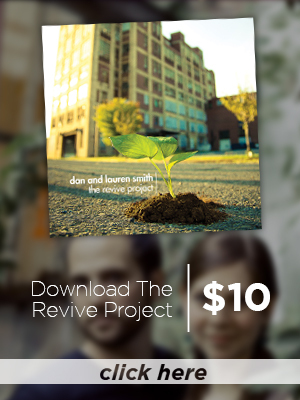 Give proceeds from the album back to city non-profits or events that would in turn benefit those in need and to further the reach of The Revive Project message. Because God is good, we have been able to accomplish and pursue all of these things, and that’s something worth being excited about! The fog and ignorance our region has had to Reading’s issues is starting to fade and there is a growing movement of individuals, churches, and organizations desiring to take part in the revival and restoration of Reading. We have been able to support events financially as well as donate to local organizations working to serve those in need in the city. Our single, “Awaken (Let the Whole World Sing)”, has been promoted and played on radio stations around the country and we’ve had numerous opportunities for live interviews and performances on air to share about Reading and The Revive Project. Our next single, “Everywhere”, is now in the process of getting that same exposure. Does it feel sometimes that the problem is so big that it can’t be solved? Yes. Absolutely. It felt like that when we set out to do this in the beginning. It was NEVER our goal to be the answer – but to simply take part in God’s story of restoration in the place and time we were called. All we can continue to do is remain faithful to God’s calling by fulfilling the roles He’s called us into. 2. When are you releasing your next album? Based on history, we should be releasing an album this year. We have released an album every two years since 2003, however, this will be the first time in 10 years that this will not be the case. To be completely transparent – we simply don’t know when we will release another album. One thing a lot of people are surprised to find out is the financial capital it takes to write, record, produce, release, duplicate, and promote an album on a professional level. Most independent musicians can expect a professionally produced album to require an investment of somewhere between $20,000-$30,000 and that’s not including the costs of duplication, promotion, touring, etc. that go along with the release of an album. That’s a lot of money and you have to be relatively certain you’re going to sell 2,000-4,000 copies of your album pretty quickly after it’s release in order to make your money back and stay on your feet. I bring this to light because the Revive Project was a non-profit album project. It wasn’t about the money but it still cost money to make it. Thanks to the generosity of a number of friends, family, and fans, we raised almost 40% of the album’s production cost through Kickstarter. 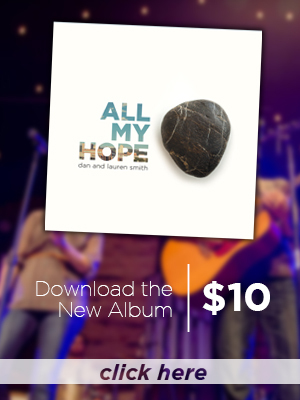 Since we released it, the proceeds have gone back into the city and promoting the project. This is what God told us to do with the project and this is what we have done in obedience and will continue to do. One of the main reasons we just don’t know when we’ll release another album is simply because we don’t have the financial resources to do so and we don’t know if or when we will again. Another reason, and probably more importantly, is that we hear God’s voice telling us right now to wait and be patient. I am doing an incredible amount of songwriting right now – maybe more than I’ve ever done. Song ideas and possibilities are flowing for another project more than they ever have. There are incredible opportunities in front of us to work on a new project with some leading professionals in the industry. These connections could help to take our ministry and voice to a much larger and widespread level. It seems God is behind us, but we just don’t know His timeline – and that’s okay. From our discussions with professionals in the industry, we have learned that every independent musician is in the same financial boat. Independent musicians, these days, receive financial backing to produce their music from private parties – whether it be individuals whom God has blessed with financial wealth to support their musical careers or churches and organizations doing that kind of support and partnership. We simply don’t have these kind of partnerships available to us at this time. So as we sit and look to the future, we see a tremendous amount of opportunity. We don’t want finances to be the reason that we stop recording and producing music that God is using to speak truth into people’s lives. Instead of staring into the eyes of a giant and giving up without a fight, we want to be like David, and believe that victory is possible with God’s help. We have seen too many talented musicians give up on their gifts and dreams because of finances and we don’t want that story to be our own. We simply ask for you to pray with us – that God would provide the resources necessary to continue on the path He is laying out for us, that we would be good stewards of what He blesses us with, and that we would be faithful to His call as He has never left our side. If you’d like to talk to us about the future of our music, please don’t hesitate to email me at dan@thesmithfactory.com or if you’d like to book us for a gig, head over to our booking page. As always, we can’t thank you all enough for the amazing support all of you are and have been to our music and our ministry. 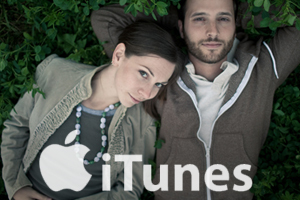 We love you and we hope to continue creating delicious melodies for your ears to enjoy! Once again Mom and I are so proud of your discernment in waiting on God’s voice and His timing. Right answer. Love you guys. You two (3, soon to be 4) are amazing. God will continue to lead you where he wants you to be and in his time. His timing is always perfect! I appreciate your humility as much as I do your music. Being a musician is not as easy road to traverse, and you have been vulnerable enough to let us see a hidden side of the journey. Blessing to you all.